The film was shot 60 years after Italians Lino Lacedelli and Achille Compagnoni made the first successful summit of K2. Amir Mehdi, the Pakistani porter who carried their oxygen tanks and made the summit possible, suffered severe frostbite and lost all his toes from sleeping without shelter above 8,100 meters. In the six decades since that expedition, most of the world has changed dramatically. But the life of the Pakistani porters, and the conditions they are forced to endure, are much the same today as they were for Mehdi. Lee is hoping to help change that. 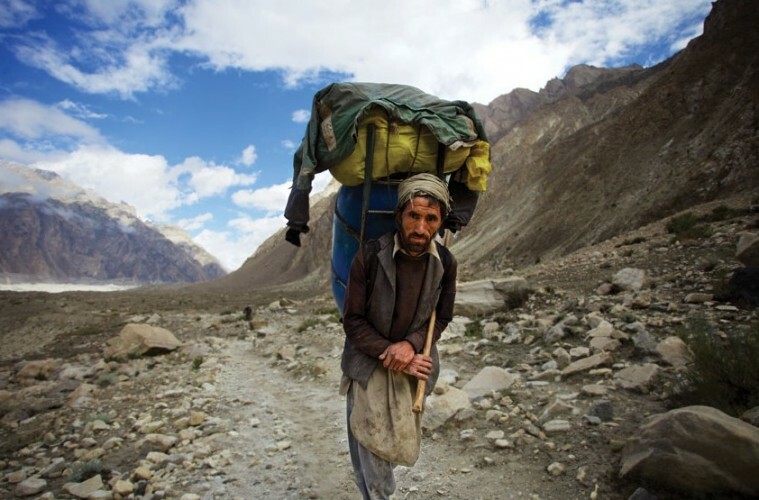 Lee acknowledges that there are no easy answers and that everyone involved—especially the porters themselves—needs to play a role in coming up with a solution, but she’s hoping that by raising awareness of the problem and allowing people to truly see these men who have been invisible for far too long, the slow process of change will finally begin for the Pakistani porters. The power to bring about change. That’s the power of great films. That’s the power of this film.